This is beautiful, the iridescence makes it. I got this yesterday after seeing Sirvinya and LouLou699 talking about it on Twitter, I haven’t tried it yet though but it looks gorgeous. I saw that Sirvinya recommends layering it over Rimmel’s Blue My Mind so I might pick that up. I did a post on this last week! its so beautiful! have you seen how much it goes for on ebay?! Whoa, that is a beauty! It looks very pretty over black or a really dark purple too if that helps? You see more of the yellow/green and red like that. Lovely! – the Teal does help to lift it a bit – will have to try the layering as it’s not as bluey/greeny as I thought it might be. I have this polish! I, ahem, bought four bottles. 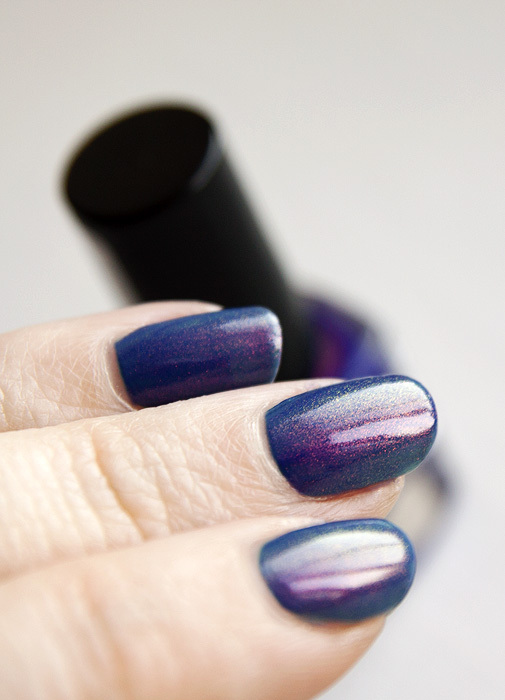 *hangs head in shame* I love it desperately – it’s too sheer on its own, but it looks fab layered over different polishes. The bottle is pretty. Someone needs to come up with a glass art version of this. Love the layering effect and your honesty about the formula, LOL! 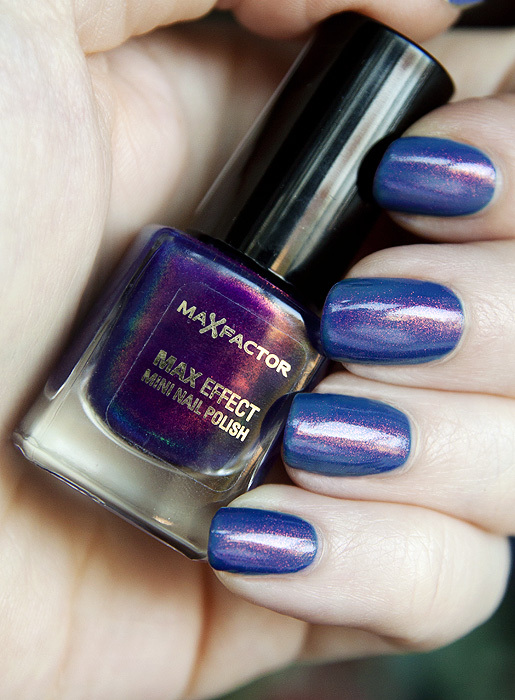 I’ve yet to try it over a purple/teal yet – wearing it over black at the moment. Prettyyyyy. love this color! Do you know if they sell this in the US? 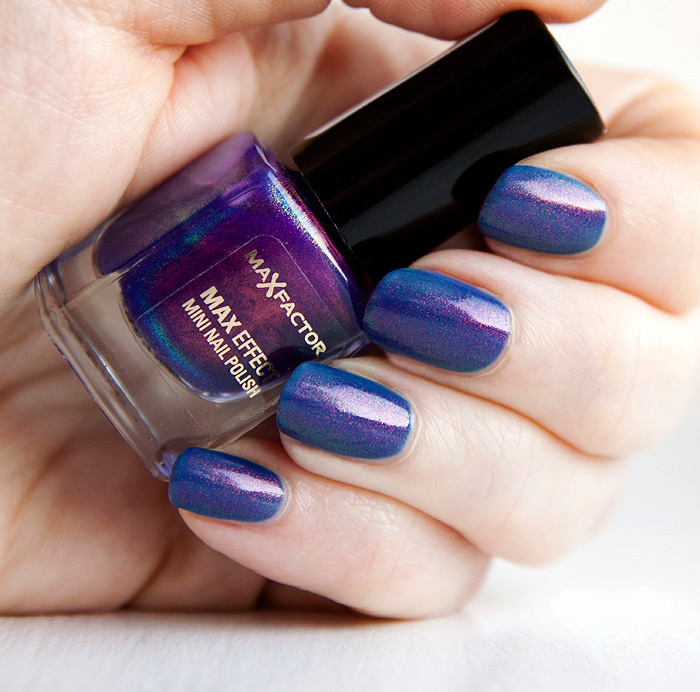 I am so glad you posted this as I have never seen anything mentioned of this polish ever. This is going on my nails at the weekend. I am so jealous that you have that in the UK and we don’t in the US. It’s gorgeous. Every time I see it I want it more. We *need* Max Factor to come back to the US… I actually have a similar matte version of this from a very, very long time ago.